Having served several years as a missionary in Colombia, South America, Dr. Jim Adams now pastors Cornerstone Church in Meza, Arizona. 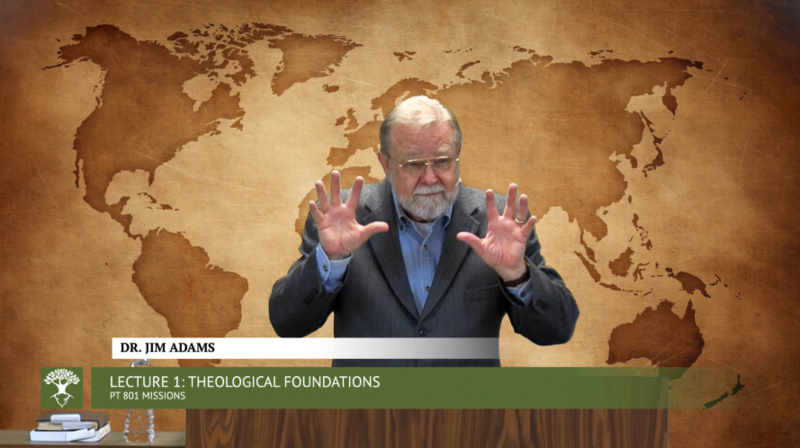 Recently, Dr. Adams gave eight lectures on the topic of missions for Reformed Baptist Seminary. In the first of his eight-part lecture series, he lays a theological foundation for the church's mission to the world, surveying biblical data in both the Old and also the New Testaments. This lecture is part of the curriculum for RBS's course PT 801 Missions. If you are interested in taking the entire course for credit or just auditing the lectures, feel free to contact Robert Gonzales (dean@rbseminary.org).